Use the Contact form to inquire about private or small group instruction in my home studio or your location. A travel fee of .50/mile is added for locations for more than a 6 mile round trip for me. Lessons are typically 1 1/2 to 2 hours depending on how quickly you learn. An individual rate is $20/hour. You and a friend (group of 2) is $15/person/hour. Small groups of 3 is $12/person/hour. A group of 4 is $10/person/hour ( I like to limit classes to 4, but may consider 5 or 6, but a large group will need 2 to 2.5 hours for a lesson. Supplies: You need one ball of beige or other light color worsted weight yarn. (Wool or wool blend is recommended) a pair of size 8 straight kntting needles (wood or bamboo is recommend) and a yarn darning needle. You will make swatches and practice between lessons. You receive printed instructions in each class as well. 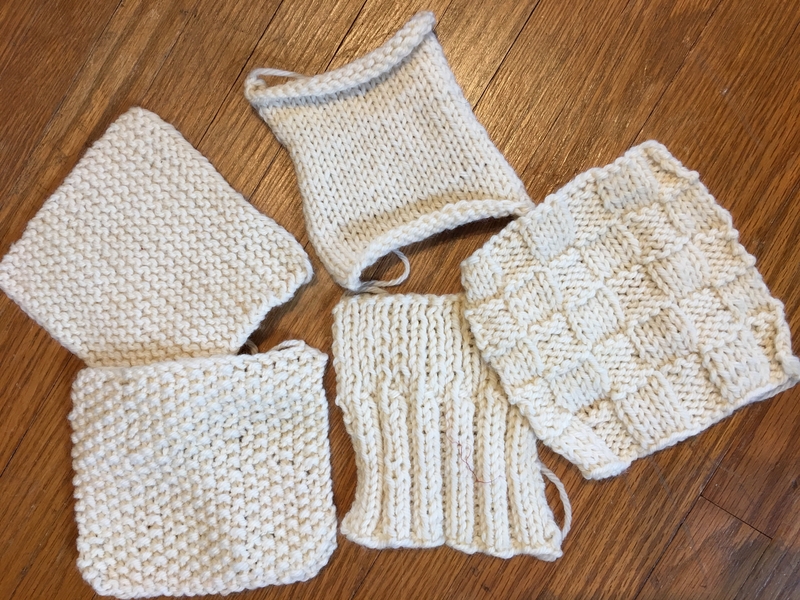 Lesson #3 – Combine Knitting and Purling to create stitch patterns. At this point you can choose a scarf pattern to knit. (Garter Stitch scarves are boring -we make patterned scarves.) I also teach how to join new yarns and weave in ends in this class. 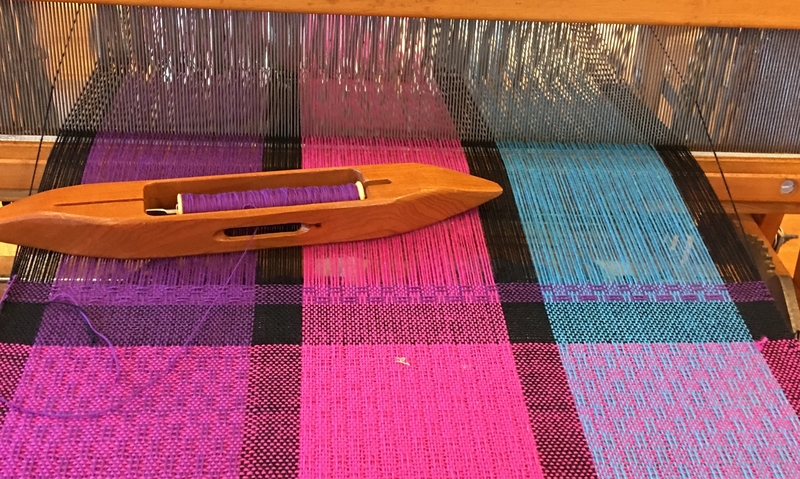 The following classes are for those who already know how to cast on, bind off knit and purl but have only knit rectangles and squares in the past. Once you know how to shape your knitting by using increases and decreases, you can knit anything from sweaters to foot wear. 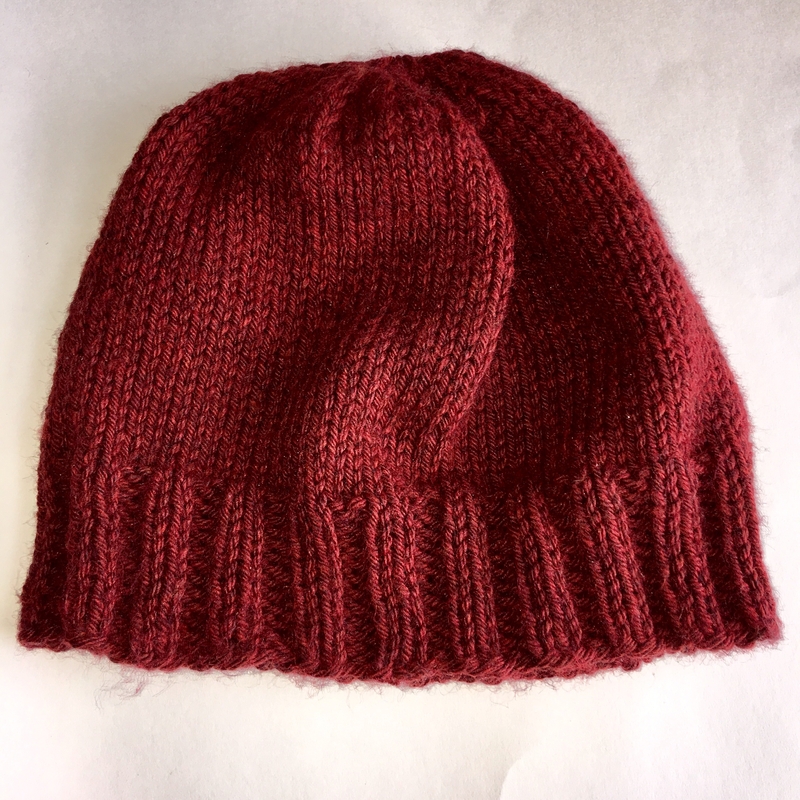 Lesson #4 and 5 – Knit a Hat in the Round You will learn to use a circular needle AND double point needles, in addition you will learn to read a pattern, cast on and join in the round, shaping (increases and decreases), close the hat and weave in ends again. New supplies needed: 1 a new ball of worsted weight yarn (wool, wool blend or nice acrylic is recommend-avoid dark colors) a size 8 circular needle, 16 inches in length and a set of size 8 double pointed needles. You receive the pattern for free in this class. After this class you have all the basic knitting skills you need for more more advanced projects. 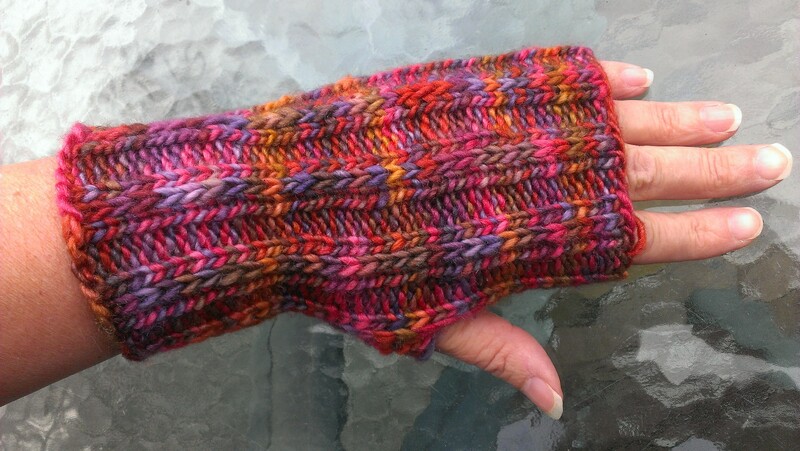 Lessons #5 and 6 – Slipped Stitch Fingerless Mitts – Learn to cast on in the round, read a pattern, make slipped stitches,add stitches in the middle of the row, shaping (decreases) and bind off loosely in the round. Supplies: one 50 gram skein of a DK weight yarn (suggested yarns are Malabrigo Silky Merino or Manos Silk Wool) and a set of size 5 double pointed needles. You will receive the pattern for free in this class. This is one of my most popular knitting classes. Warm, wool slippers are a great gift for Christmas, birthdays, bridal showers and even a wedding present for the couple. Everyone I have made them for loves them. The pattern is a bit tricky in spots, but I help you to break it down into easy steps and teach you to understand reading the pattern. They actually knit up fairly quickly since the yarn is held double throughout. Must know how to cast on, knit purl and bind off. You learn many new things in the class and it can help take your skills to the next level. You must buy the pattern online before class since this is not my pattern to give. This class takes 3 lessons with lots of homework between. Ideal for a small group lesson if you have knitting friends and want to make a unique project and really advance your skills. Socks – Socks are a great small project, learn to knit a basic sock on double pointed or circular needles, cuff down or toe up, you decide! Wool blend socks are the best thing ever in winter. You learn how to cast on with double pointed or long circular needles (magic loop). turn a heel, shape the toe and if cuff down, graft (Kitchener stitch) the toe closed. Cables and Lace – Learn the magic of knitting cable and lace. You will learn to interpret a knitting chart with its symbols and start doing crazy things with your stitches. This is two, 2-hour lessons, one for cables and one for lace. Learning to read a chart is very freeing and can help you learn to “read your knitting”. We will be knitting swatches again in light colored yarn. Knitting Mentoring – Minimum of one hour for each session. With mentoring sessions we can cover anything you want: new techniques, fixing mistakes or you feel like you are stuck in a knitting rut. Are you afraid to tackle a difficult thing with hard to read instructions or a big project like a sweater? We can have one hour mentoring session(s) to get you through the tricky bits of something new. Picking the pattern and appropriate yarn, making the gauge swatch to make sure it will fit, interpreting strange instructions and how to keep track of “at the same time”directions when you get to them these are all topics to tackle if you want to make things that are’t a square or rectangle.